Will the baby really benefit from social interaction at such a young age? There are benefits for mom and baby in joining a group of other moms and children. Here are some things to look for in a baby playgroup. You may be wondering if you should join a playgroup with your baby. Will the baby really benefit from social interaction at such a young age? Do they really need to attend a regular playgroup? While babies do need social interaction, a playgroup isn’t absolutely necessary to meet that need. However, there are benefits for mom and baby in joining a group of other moms and children. When looking for a playgroup, there are several factors to consider. One is the location of the playgroup’s meetings. Do they meet in a central location or do members take turns hosting the group in their homes? Is the location and schedule at a time and place that fits your needs? A playgroup that meets in the middle of your baby’s nap, it may not be the right fit. Consider the size of the group. Some babies have a low tolerance for too much stimulation. These babies prefer smaller groups and are easily over stimulated in a room full of children. You know your baby best and will know if she needs a smaller group of only two or three other babies. If your baby does better with fewer people in the room, look for a playgroup with only a few other moms. Very social babies often love going to playgroup, even if they are too young to play. These babies thrive on action and enjoy watching people. A playgroup gives the baby the opportunity to socialize and watch the older babies playing and the mothers talking. Babies that seem to get bored at home, but are too little to move around and play are often entertained by the other kids at the playgroup. 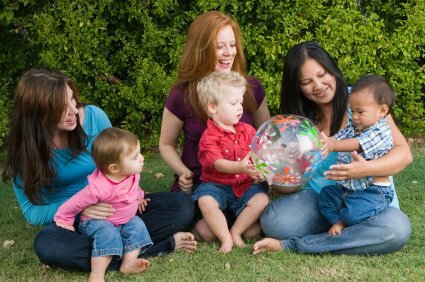 Playgroups have benefits for mothers. Going to a playgroup gives mothers and babies regular activities outside the home. Mom can make new friends and enjoy some grown up conversation. The support you can get from talking with other moms can be very valuable, whether you are discussing the babies or more adult topics. This is especially valuable for moms that worked full time prior to the baby’s birth and are feeling isolated at home alone all day long. As the babies grow, mothers often benefit from the advice and commiseration of other moms. Whether the baby just won’t sleep or you are wondering about starting solids, there are other women going through the same basic issues. Talking with them will help you feel more confident as you realize you are not the only one dealing with the same issues. Some mothers form a babysitting co-op with one or more of the other moms in a playgroup. 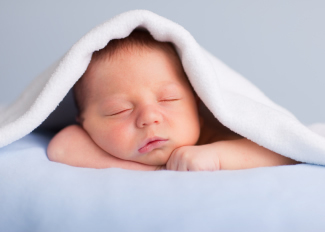 Finding quality care for a baby is difficult. Sometimes moms will agree to swap baby sitting service periodically. This would allow you to enjoy a meal in a restaurant with your partner or a casual stroll through the mall. In turn, you would reciprocate by babysitting your friend’s child. The friends you and your child make in a playgroup may be part of your life for many years to come. In some cases, your family may meet another family that is a great fit. You may find that they become part of your inner circle and an important part of your life as you watch your children grow together. This may be the biggest benefit of attending a playgroup with your baby.